In a multiplayer game, if I play a card that allows me to look at someones hand, can I announce all of the cards in it? [+]There is no rule stopping you. There is also no rule stopping you from lying about those cards. There is also no rule against your playgroup kicking you out. [+]Sarkhan looked up, clearly agitated by the idea.�?I?m no stranger to hallucinations,? he said slowly.�?What is she doing? Is she speaking to you?? If your muse isn't just hunting for the D and V, please reblog. [+]If you're looking for a bizarre bunch of cards to take to the #SCGINVI's Modern portion or Grand Prix Charlotte, look no further than this multicolor smattering of value creatures, combos, and everything else! 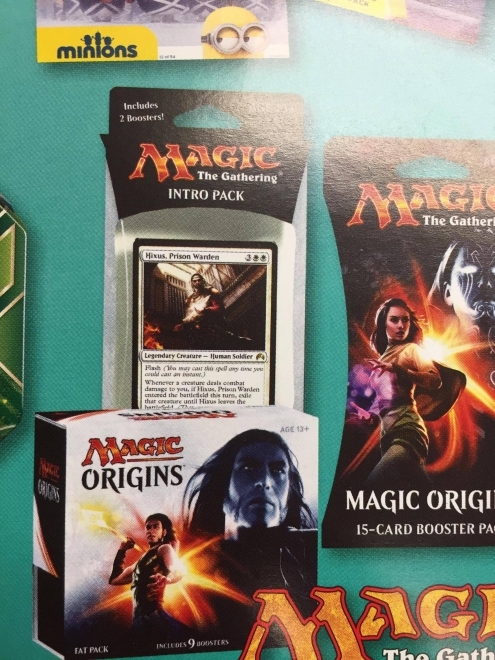 [+]This is a StarCityGames.com Premium Article. Click here to sign up.With Grand Prix Charlotte and the #SCGINVI both approaching fast, Todd shows you how to cut through the noise and the nonsense so you can concentrate on which decks are most likely to win! [+]This is a StarCityGames.com Premium Article. Click here to sign up.Grixis had a huge weekend at the Legacy Open! Todd Anderson takes the list piloted to a top 4 finish by Paul Lynch through a Magic Online video series in this week's Open Series Spotlight! [+]Commander VS is back, and it's one of those days where two players just doesn't feel sufficient! The whole gang gathers around the Commander table for the mayhem you've come to love! [+]This is a StarCityGames.com Premium Article. Click here to sign up.Modern may be the talk of the town these days, but Standard is still going to have a huge role in determining the winner of the #SCGINVI in Columbus next week! Brad and BBD stop by to give you an edge! [+]This is a StarCityGames.com Premium Article. Click here to sign up.Sam Black had a rocky start to his MM2015 Draft testing, but now it's full speed ahead! Find out what made him shift gears into winning and beating the format before you take on one of the big Modern Masters GPs! [+]JDB spent the Memorial Day weekend battling Standard to some success, but it was another experience he'll remember most. Read about JDB's encounter with misfortune and heartbreak, and what he did about it. Squire Cast Episode 28: Because Attacks for Bigs is Big FUN! [+]That?s a fine way to think about it. Hi Mark, I'm designing a set with factions but I don't have room for faction mechanics, any advice for building up factions without mechanics? [+]Look at Innistrad. Factions can be defined through flavor and style of play. [+]You don?t need black border cards to create that problem. Mirror Mirror, for example can do it. If you play Chaos Confetti or Blacker Lotus you run the risk of it being ripped up not by you. You misunderstood me, I was asking WHEN (around which block) did you guys decide to have white be tertiary in Flash rather than first? [+]Some time after Time Spiral block. Isn't Flash still primarily White? I mean, he is a pretty heroic guy. Probably also red and blue, but I feel white is his main color. [+]While Flash is not particularly White, The Flash is very White (and a bit Blue). Are black border cards legal in a silver border tournament? [+]I would put the colored mana first because that is how almost all players want to say it. But, Mark you DO draw the pictures. [+]It was decided White needed it less. It still can put tokens into play at instant speed. [+]Once upon a time, Flash was primary in White. Hello from a fellow May birthday! Mine's Friday. What kind of birthday trivia have you got for my favorite clan, the Mardu? [+]It was originally called Mordu but it was too close to the names of things from other properties so it was changed. Happy May Birthday! Is regenerate still a blue thing??? Regarding Flash, didn't you say that all colors are allowed to have Flash now? Or do you mean, just because they all CAN, doesn't mean it still isn't tertiary or secondary to some colors? [+]If all the colors are primary, secondary and/or tertiary, all colors have access to it. Can you give an example of when you were really off on costing a card? Possibly one that shocked you? [+]Black gets that there is the concept of ?right? and ?wrong? that some people believe. Black just sees them as idiots. Have you designed a card that is currently banned in a constructed format? How did you feel when you got the news? [+]I?m never happy when a card I designed has to be banned. [+]Flash is primary Blue, secondary Green and tertiary in White, Black & Red. What's the farthest you've been off when costing a card you've just designed? [+]Oh, I?ve been off by as much as 5, but normally I?m only off 1 or 2. You say you're not that great at costing cards correctly, but I can't imagine your instincts are that bad. How close can you generally get with a first guess to the eventual cost of a card? [+]I usually get somewhat close. Is there any direct damage effect Red is Not allowed to have? Priemer's Primers: It's a Miracle! How is Dack supposed to keep calling himself the greatest thief in the multiverse what with Kiora stealing Thassa's bident and Ral Zarek stealing JACE'S HEART? [+]allwillbeone: A bit old doodling, tweak and color for fanzine. self-rebloging because of ? you know, the reason. [+]incorrectmarvelquotes:Pietro: He hates me, I think he really wants to kill me. Lorna: Now, Pietro, no one wants to kill you. In this family, we might say we want to kill each other, but we really don?t. Magneto: No, the boy?s right, I?m really trying to kill him. [+]villainoftheweek: ?anime is racially ambiguous? aka ?these Asian characters with Asian names and Asian cultural markers made by Asian people don?t look like the hideously caricaturized narrow stereotypes of Asians that I?ve been used to seeing.? In fact, both of these are correct. That depends. [+]steveargyle: Major Kusanagi oil and acrylic alteration (Dalekanium variety)Available at GP Vegas this weekend! eriklehnsherrofficial: If you don?t love Gambit, you?re wrong. [+]eriklehnsherrofficial: If you don?t love Gambit, you?re wrong. [+]steveargyle: Dark Phoenix oil alteration (Unobtanium variety)Available at GP Vegas this weekend! If Memnite said "draw a card when this enters the battlefield" would it be an auto-include in every deck in every format that could play it? [+]I?m sure there are some exceptions because of how it messes with mulligan decisions, but it would definitely see widespread play. So my friends and I want to draft with 4 players. What's the best way to do this and do you have any other advice you can offer? Thanks! [+]Conspiracy is a great way to draft with 4 players. (Sorry if I'm being obnoxious) How would the anti-wedge feel be affected by making the original wedges enemy centered? [+]Let?s take the Clan of Cunning. It starts as White/Blue/Red. Then in the new timeline it becomes White/Blue. We couldn?t have continuity between the timelines if the central color disappeared between timelines. What's the Coolest Thing You?ve Ever Opened from a Booster Pack? [+]Last week Hall of Famer Raphael levy introduced us to Super Morphs, or Smorphs. This week he wants to show you the deck in action. With a low Standard price tag, could this be the deck for the TCGplayer Invitational next weekend? [+]As promised, Frank is back with the Bant Midrange list that Taylor Atchison used to win the TCGplayer Open 5k in Milwaukee. Can the deck hold its own and is it the perfect option for next weekend's MaxPoint Invitational in Las Vegas? [+]Cassidy tackles a Prossh, Skyraider of Kher deck from a player at his store that contains multiple infinite combos. While built for the 1v1 format, it's perfectly efficient in multiplayer Commander as well. Take a look! How do you shrug with one palm? So... What about Domri? 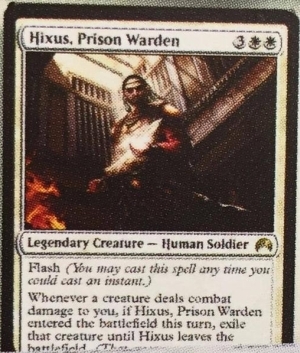 Any serious plans for him or just another forgotten Planeswalker, Tibalt-style? Is there a reason why the latest uncharted realms is much longer than usual? [+] MTG Tutorials #40: All About Raid???????????? ?Like what you see? You can follow us, ask questions, and find more tutorials like these at http://mtgtutorials.tumblr.com. And please consider clicking the Donate button! [+]Marceline of the Axe! �Unobtanium alteration available at GP Vegas this weekend! [+]Black Widow oil paint alteration. �(AKA the�?Unobtanium? variety.) �Available this weekend at GP Vegas! [+]Dark Phoenix oil alteration (Unobtanium variety)Available at GP Vegas this weekend!